Good wayfinding for where to park to where to find the start of the fish fry line. However, styrofoam plates and plastic silverware. Great attention to signage with some great logos and graphics. 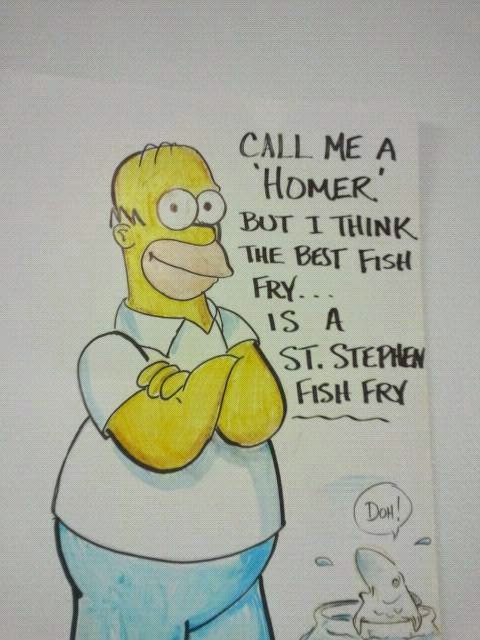 You can tell someone put alot of effort into the graphics, and the St. Stephen fish fry logo is a nice touch. Line moves fairly efficiently, although a little slow. One of the few fish fries to have you pay after you get your food, so it can be a little difficult with dealing with your tray and paying, especially with a family. Greening hasn't improved with styrofoam, condiment packages, and no visible recycling. 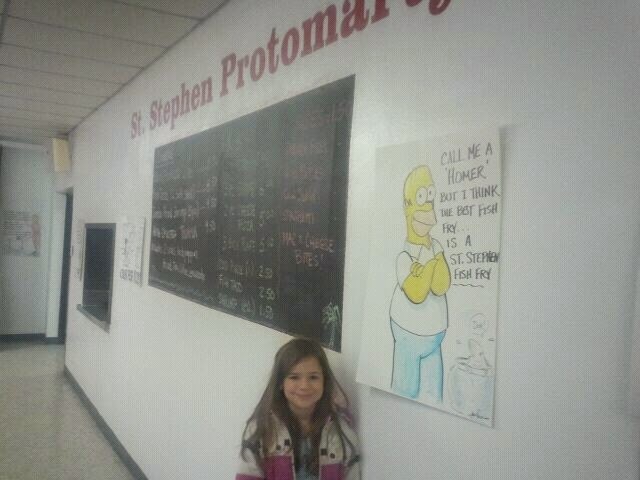 Saint Stephens has some of the best fish fry graphics in St. Louis! Catchy fish fry signs like the tribute to Homer Simpson and other signs decorate the cafeteria. They know how to have fun with their signage. OK Cod. Nothing special about the batter. Sides were OK also, but again nothing stood out. Packaged tartar sauce. Also, fried shrimp an option. Thought the Cod good. Highlight were the fish tacos, which were excellent. Other choices included baked cod, "catch of the day" (which alternates between tilapia, salmon, and grouper), and fried shrimp. Sides included green beans, spaghetti, french fries, hush puppies, mac and cheese bites, and cole slaw. Dessert portions were large. Cod was top notch! I don't remember it being this good in the past, but it was great this time around. The sides aren't fancy, but they are done well. Fish tacos were some of the best we've every had!! 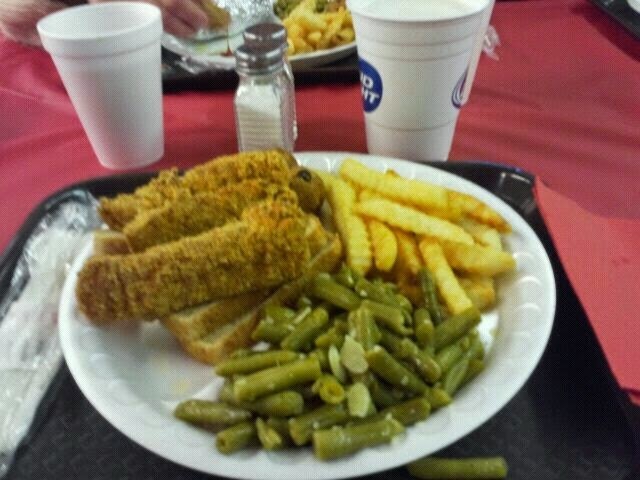 $7 adult plate with 2 pieces of fish and included tea or lemonade. Dessert was extra however, $0.75. $8 for adult plates (cod or fish tacos), $9 for "catch of the day" or jumbo shrimp. Dinners include tea, coffee, or lemonade. Dessert was an extra $0.75. Kids menu ranged from $5-$6. Soda was $0.75, draft beer $1.50, pitcher $6, schafly bottle $2, wine $2. Fair value. Our family of five was $33.25, so not much discount for the kids as some places. $35 for our family of five. Beer drafts for $2. Good atmosphere with attentive and friendly staff. Good atmosphere. Cafeteria is in the basement and has fairly low ceilings, but there was a good buzz of conversation and nicely crowded, but not overwhelming. Friendly staff with kids clearing the tables. The catchy fish fry signs decorating the cafeteria are a nice touch. TV adds nice background noise (and later a chance to catch ball games). Super friendly volunteers. 3.25 out of 4. Good solid fish fry. However, none of the food items really stood out. 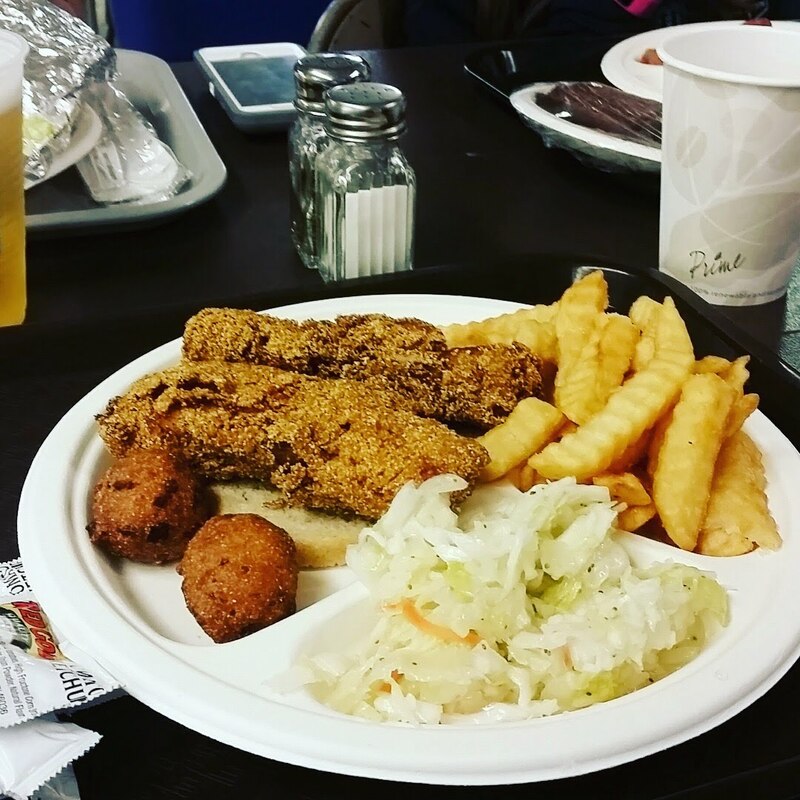 A good fish fry to add to your City rotation. Overall, the rating and summary have stayed the same from 2007 to 2011. A good solid 3 out of 4. Wayfinding and food ratings have increased from 2 to 3 fishes, but value decreased from 3 to 2 fishes. Overall, still a very enjoyable and good fish fry. We hadn't been to Saint Stephen in almost four years, and I noticed that Saint Stephens is always constantly improving. New and more signs, great cod, added touches to their atmosphere like a fish fry mascot 'Sharkey' - and they even added credit cards as a payment option this past year (through four square). I think we even got an email satisfaction survey when we got an email of our credit card receipt. They know how to have fun with their fish fry. 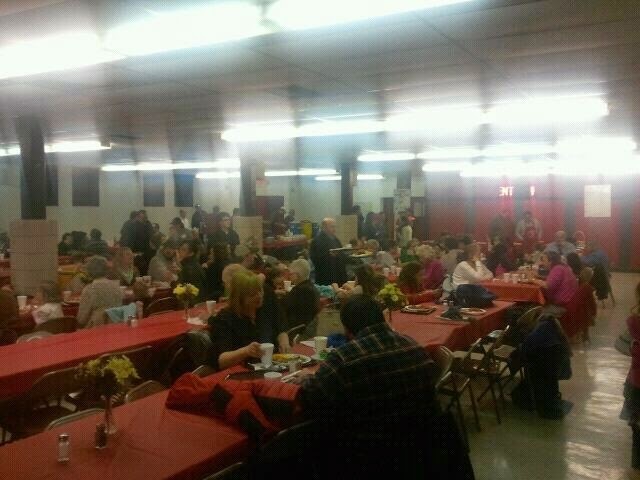 Great fish fry! Always a fun fish fry. Mac and cheese balls and fish tacos are highlights. I usually prefer a little more spice to my Cod, but overall still a good fish fry. FISH TACOS ARE THE BEST!!!! The EXCELLENT fried Mac/Cheese deserves a mention here! The fish and all else are on par with other Frys. The BAR might also push these guys above the crowd. As does the KIDS area with crafts and such. 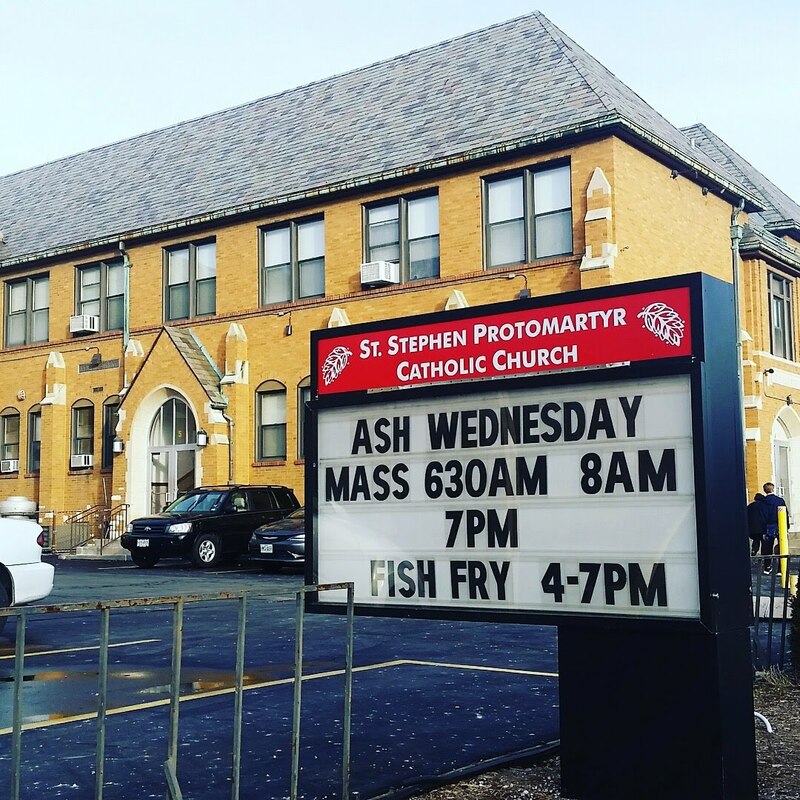 St. Stephen Protomartyr (SSP) should be reevaluated in 2014. It's one of the best I've ever been to. Everything from the Cod (fried or baked) Shrimp, special "catches of the day", TACOS ARE UNBELIEVABLE! They also honor law enforcement, educators, first responders on special nights. Please check this one out 4-7 starting March 5 and following 6 Fridays! !